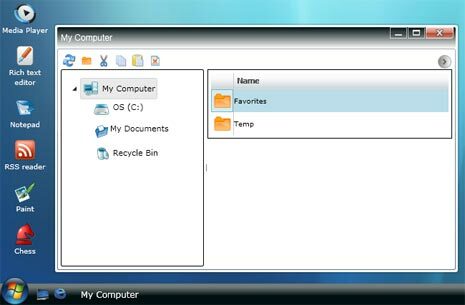 We have already seen Ghost virtual online operating system, Windows4all is similar online OS powered by Microsoft Silverlight technology. 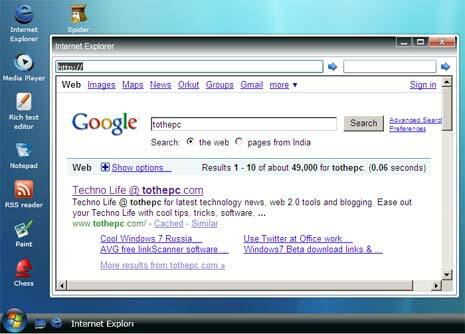 Within web browser, you can access and get feel of an operating system. It has Windows Vista like feel complete with Orb start button and fully loaded sidebar gadgets on the desktop. – Internet Explorer to surf web or google around for any information. – File explorer and usual areas like My Computer, Recycle Bin, My Documents. – It has rich text editor, RSS Reader, notepad and video player. – Play games like Chess, Solitaire, Spider, Calculator, TicTacToe. Checkout online OS Windows4all within your web browser. You must have Microsoft Silverlight plugin installed on the computer to test drive this online OS avatar. May take sometime to load completely on slow internet connection. Enjoy online OS, looks cool! Very cool windows4all, it looks very similar to Vista. By the way how are you? ?